Kovalam, which is Malayalam translation for ‘Grove of coconut trees’ is located by the Arabian Sea in the Indian state of Kerala, and is famous for its amazing beaches. As the name suggests, the city is characterised by its endless rows of coconut trees and is often called the ‘Paradise of the South’. The crescent-shaped beach has three parts. The middle, hawah Beach, is also called as Eve’s beach due to its picturesque surroundings. The northern Samudra is a laid back one and time seem stands still here. The southernmost beach and the most popular is a 35-meter tall lighthouse beach. 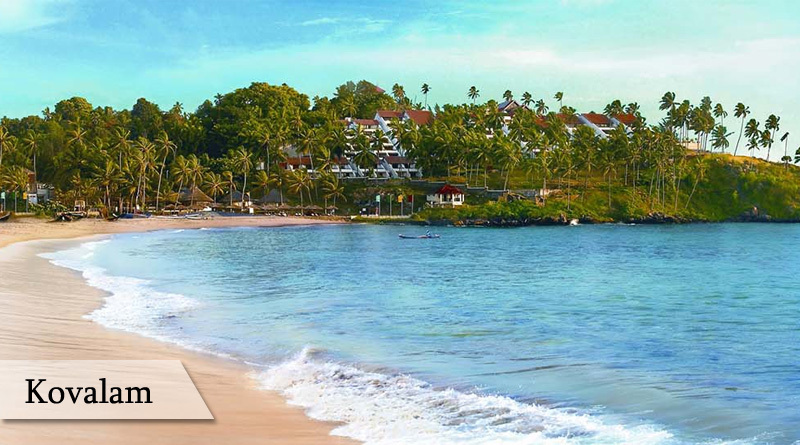 It’s the shining star of Kovalam having a magnificent mix of gleaming sand, rocking waves, palm trees, and water. 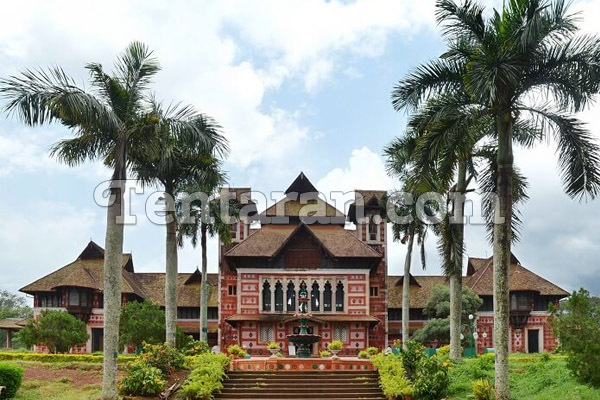 Halcyon Castle was built by the Regent Queen Maharani Sethu Lakshmi Bayi of Travancore in 1932. Today, although the castle is transformed into a luxury hotel, few areas can still be visited by non-guests for a fee. The Largest freshwater lake in Trivandrum is another amazing picnic spot in Kovalam. The lake is best viewed during a moonlit night or during the annual boat race during the festival of Onam. Originating from the southern tip of Western Ghats, the Karamana River is one of the major rivers in Trivandrum with two dams built on it. This river is a must see for travellers who want to experience the blessed side of Kerela. Located at a short distance of 3 km, the Vizhinjam Village is one of most famous Ayurvedic centres in Kovalam. It is famous for its ayurvedic centres; rock cut temples, beaches and fishing harbours. A famous spot on the shore, Edakallu is placed located between the Hawah beach and the Lighthouse beach. It is a sunset seeing spot that is frequented by numerous photographers and sightseers. The sunset witnessed here is a breathtaking sight like no other. The Valiyathura Pier is a 214-meter long pier located at the port of Valiyathura is another serene and relaxing beach location near Kovalam. The pier was once used by fishermen during the high tide and is now a famous spot for photography. Artificial Off-Shore Coral Reef at Kovalam is India’s first offshore coral reef. It was created with an aim to protect and enhance ecology at the lighthouse beach. A must visit marine aquarium located in one of the busiest fishing harbours if Vizhinjam. It is a treasure chest of marine wealth compromising of a variety of fishes, corals, and aquatic animals. One of the best mid-priced restaurants in Kovalam, the German bakery is located on the Lighthouse beach with an amazing breakfast menu. It is one of the best places to spend the scorching evening with your friends.